Constables. 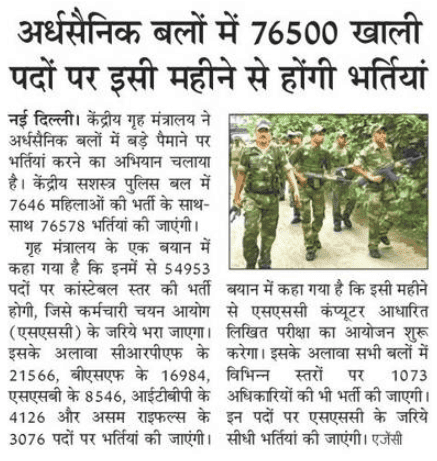 Through this opportunity, there are total 76,500 vacancies will be fulfilled only by eligible and talented candidates. Candidates, who are eligible, can apply for this opportunity by send the application forms in proper way to get a secure place in this organization. Candidates who are interested in this offered opportunity and want to apply, firstly they have to clear that their eligibility criteria are match as per the requirements of offered post, if the candidates find to them eligible then can apply otherwise not.